With the Supa Mixed Aquarium Ornament you never know what you might get. 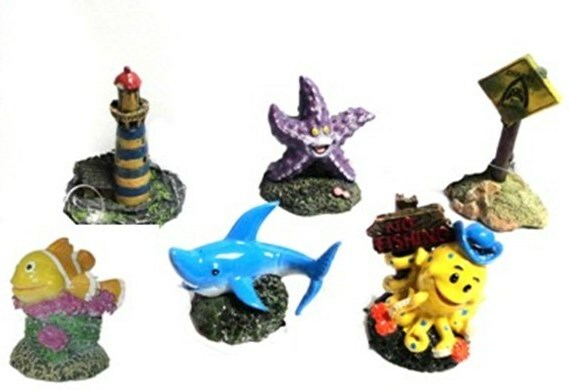 Every order will receive either a lighthouse, starfish, shark sign, fish, shark or octopus ornament. A great way to brighten up your tank. Each ornament is made from a high quality, non-toxic resin. Randomly allocated. There are currently no questions for Supa Small Mixed Aquarium Ornaments - be the first to ask one!